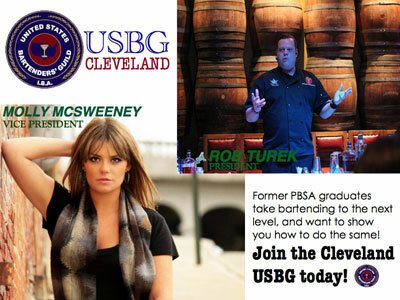 Cleveland, Ohio Bartending School - The Cleveland Bartending School, Inc.
Raise a glass. Celebrate a great new way to earn. Looking for an excellent full- or part-time career? Flexible hours? An exciting way to make good money— fast, and have a good time too? Want a job that’s recession-proof and booming year round? Become a bartender! It’s easy. It’s fun. And it means serious money in your pocket. 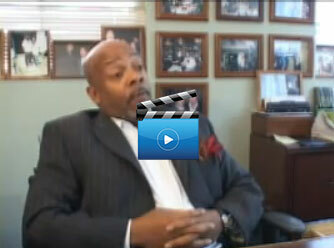 Straight up: Cleveland Bartending School makes it happen! Literally hundreds of openings in your area—now! Breaking news but no surprise, two of Cleveland Bartending School's best, finest, and future of mixology, Molly and Rob are active alums as you can see. They were just voted into office for the United States Bartenders Guild Cleveland chapter. Congrats to President Rob Turek and Vice President Molly McSweeney. Way to go, we're proud, they are proud! Thats how we roll! 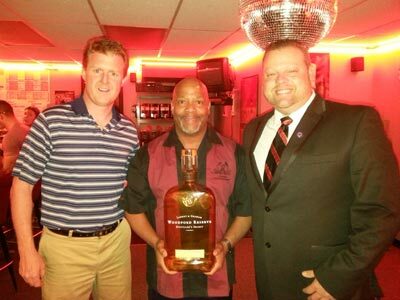 Here I am getting my continuing education with Patrick, Woodford Reserve Bourbon Representitive and Rob Turek CBS's Instructor/Grad, voted Cleveland Best bartender ,and USBG President (Cleveland Chapter) Whoever said learning is fun was right! Visit our Why be a Bartender page to see more reasons why you become a bartender in Cleveland today. While many professions are taking a dive, bartending thrives—but only if you’re qualified. Let Cleveland Bartending School train you to become a Professional Mixologist—with the certifications many places demand. 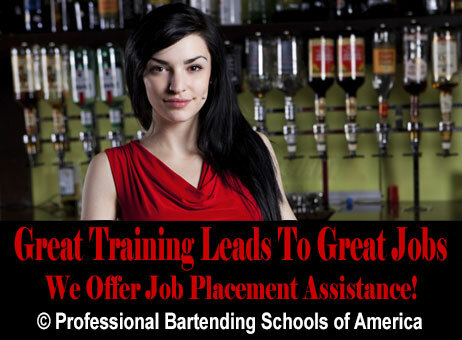 Plus, unlike any other bartending school, we offer FREE nationwide job placement assistance through PBSA! COME DOWN for a visit. We’ll show you how easy it is to begin—and start earning right now! Get a nightlife - Bartend! Ever watched the bartender mixing your drink and think: That could be me. Looks like fun and really good money. How can I learn to pour drinks quickly and remember so many different recipes, while keeping calm with a smile? Today’s bartending scene has become much more complex. Mixologist are expected to meet the demands of a more educated and sophisticated customer. The corner bar isn’t just pouring beer and shots anymore. Bartenders have to be more knowledgeable, personable, organized and efficient. The Cleveland Bartending School mixologist course is designed to prepare professional bartenders, with the skills they need for placement in their choice of jobs, in this exciting, ever changing industry.